Created for "We the People"
The 2018 Ford Expedition is the first major change to the model in more than a decade. Already a popular SUV, this update takes the Expedition to the next level. Fans of the model have been anticipating this release for months and the wait is finally over. The Expedition and its slightly larger sibling, the Expedition Max, have a lot of great features that customers are going to love! Here are 3 things we love. With available seating for 8, the Expedition is already an exceptional choice for those traveling with a large crowd. 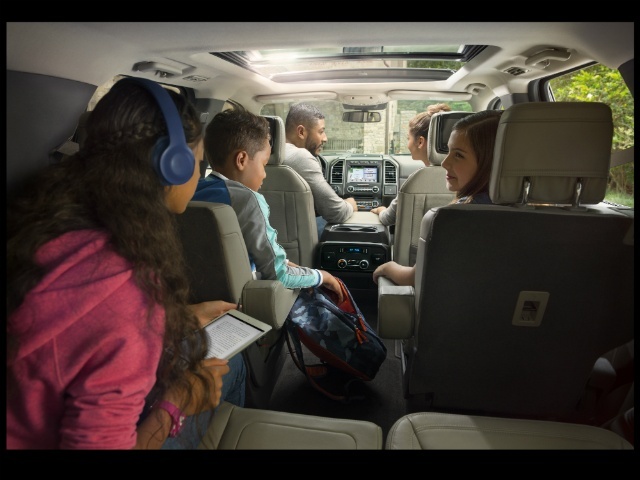 But the new Expedition is earning top marks in Interior Roominess - so not only can a lot of people come along for the ride, but they'll actually be comfortable on the way! Since this is primarily used as a family vehicle, Ford designed some features specifically with crowd-pleasing features. One is a power running board, helping driver and passengers get into the large SUV easily. 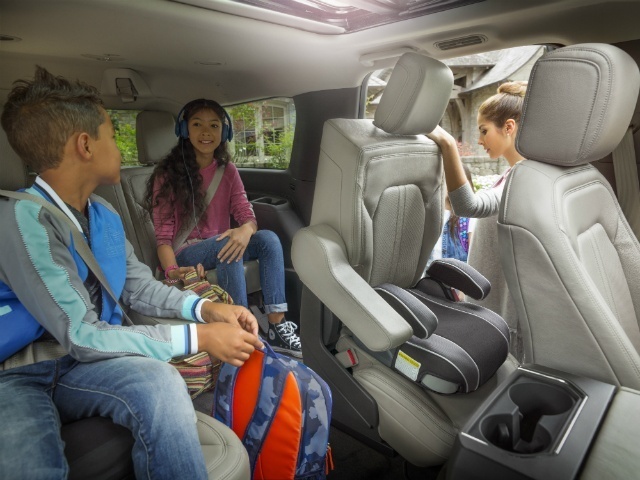 Another is Enhanced Active Noise Control, which means no more yelling to the back seat - your ride should be less noisy. Plus, the second-row seats slide down, making it easier to reconfigure your ride and get everyone into the third row comfortably. The seats also have power fold-down, which means converting the third row into cargo space is a snap! Traveling with a crowd sometimes means towing a lot of their gear. The Advanced Cargo Management system includes a shelf to provide more efficient storage. You can also access your cargo using the rear flip glass (instead of lifting the hatch). The Expedition comes with a parking camera that is standard, and available 360 degree camera to help navigate those tricky parking situations with a bird's eye view. There are 6 USB ports throughout the cabin and a wireless charging pad available. 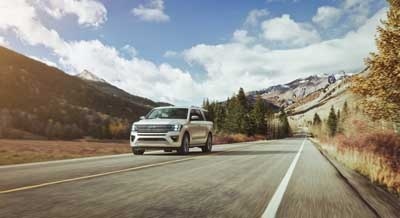 The Expedition has available lane-keeping assist and adaptive cruise control. Your Expedition can become its own wireless hotspot, allowing up to 10 connected devices at once! 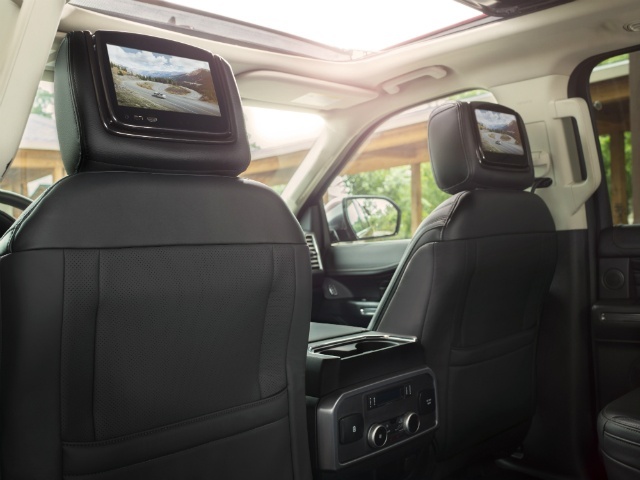 The Expedition also has available dual headrest rear seat entertainment system for keeping all your passengers occupied. Lastly, the Expedition is compatible with Apple CarPlay, Android Auto, and Alexa. Ready to shop? Click below to view our inventory or fill out the form to schedule your test drive!